Durham’s denizens and visitors just keep getting luckier. Primal Food and Spirits is one of the newest additions to the city’s food scene, and the restaurant is 100% gluten-free. That’s right, there’s no wheat, barley, or rye anywhere in the kitchen! There’s also no need to ask gluten-related questions when requesting a reservation or placing an order, either. Are you hungry yet?! Primal has an impressive beer, cider, wine, and cocktail list that features everything from fresh local brews to a nice range of international wines. Do be careful when perusing the beer list, though, as a handful of the choices are clearly marked as not gluten-free. 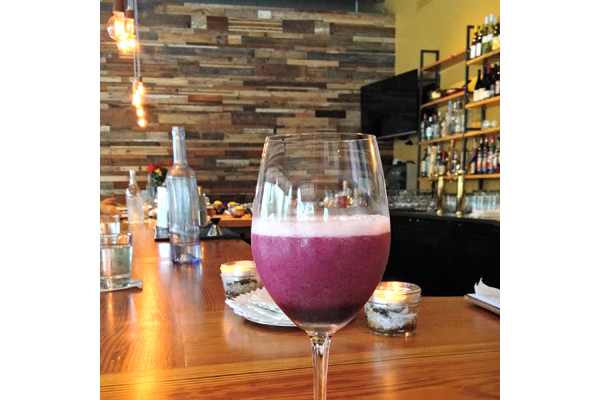 Primal also offers seasonal cocktail specials, and this gin-based drink with blueberry and lavender from the Durham Farmers Market was divine. Get this floral, slightly fruity, and refreshing drink while it’s in season! One of the best things about Primal Durham is the simple fact that none of the menu items are off limits for gluten-free eaters. Why not go with a group of friends and order one of everything? When the Gluten & Allergen Free Wellness Raleigh blogger and speaker crew got together recently, that’s exactly what we did. Our table ordered the grilled octopus, kale salad, bread & butter, and the deviled eggs. 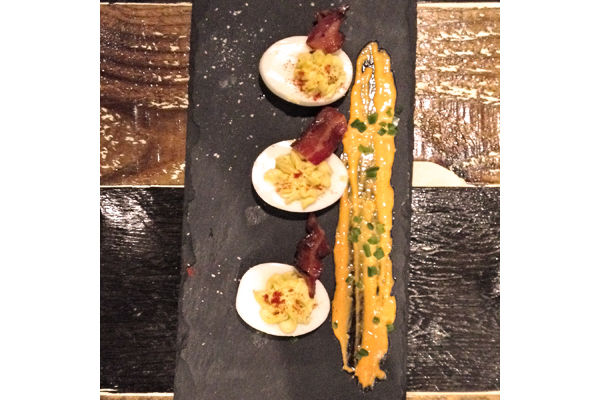 All were excellent and fun to share, but these deviled eggs and their spicy and smoky sauce really stood out. Primal’s main menu skews toward meat, but everyone—pescetarians and vegetarians, too—will find something delicious. Popular dishes at our table included the braised beef shortrib, the whole fish special, and the grass-fed burger. 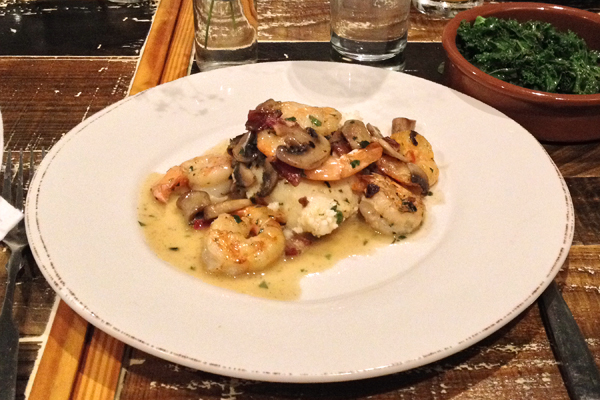 Fans of shrimp and grits (and really, who isn’t a fan?) should make a beeline for this dish, though. The grits are incredibly creamy and just a little cheesy, the shrimp is lightly seasoned and perfectly grilled, and the dish can be topped with bacon. What’s not to love? Our only regret was not saving enough room to sample the tarts, cakes, or sorbets on the dessert menu. We can’t wait to return and sample more of Primal’s delicious menu. Thanks to owners Tim and Rachel Lyons for hosting us and treating us all to an amazing meal! Where? Primal Food and Spirits is located in South Durham: 202 West Highway 54 Suite 107, Durham, NC 27713 (919-248-3000).